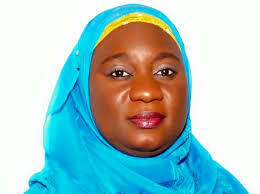 The Wife of the Niger State Governor, Dr Amina Abubakar Sani Bello has said that the current figure of maternal, child mortality and morbidity in the country is unacceptable. Dr Amina stated this during the flag off of the 2018 November/December Maternal, Newborn and Child Health Week (MNCHW) held at Maikunkele Primary Healthcare Center last Thursday in Bosso Local Government area of the state. She said it was high time the trend of preventable deaths were stop by wholly embracing interventions to ensure that morbidity and mortality are grossly reduced to bridge the gap. Amina added that the flag off ceremony was organized to harmonized and drive the collective efforts of every stakeholders at all levels to eradicate preventable diseases in the communities. The wife of the governor said the MNCHW has become unique as a platform for reawakening the responsibility of everyone towards healthcare services, noting that the interventions which she said were free would help reduce child and maternal morbidity and mortality rate in the state. She urged people of the state to play their part in ensuring that communities are healthy in order to effectively accelerate the development of the state and the nation at large. Earlier speaking, the state Commissioner for health, Dr Mustapha Mohammed Jibrin said the state has continued to ensure consistency in the implementation of MNCHW as part of government effort to ensure access to quality and equitable healthcare delivery for women and children across the state. 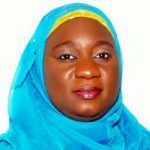 Dr Jibrin said this round of MNCHW was the 17th to be implemented by the state since 2010 when the National Council on Health adopted a stop gap strategy towards addressing inequality in access to utilization of priority of maternal, newborn and child health services in the country. He said during the week long activities, integrated high impact PHC services will be provided at health facilities to improve the poor health indices of women and children in the state. The commissioner added that Governor Abubakar Sani Bello’s administration believes that improving the welfare and wellbeing of the people remain the surest routs to an egalitarian and peaceful society. “The state government will continued to consolidate on MNCHW and other stop gaps measure while maintaining its focus on the ultimate goal of strengthening the health system, so that every person living in the state can access quality and affordable health services anywhere and at all times,” he said. The commissioner added that the state PHC revitalization initiative has continued to gain steady traction, as Bill and Melinda Gates Foundation have made available the sum of about N100 million to fund PHC services in 2019. Also speaking, UNICEF representative in the state, Mr Idris Ndagi said this year’s campaign was very special as UNICEF is encouraging ownership and sustainability in the state. Mr Ndagi said the week-long activities would target 1,161 health facilities across the state with UNICEF support to see that services get to the people especially those at hard to reach communities. He appealed to traditional and religious leaders to encourage their subjects to come out enmass to access the services.